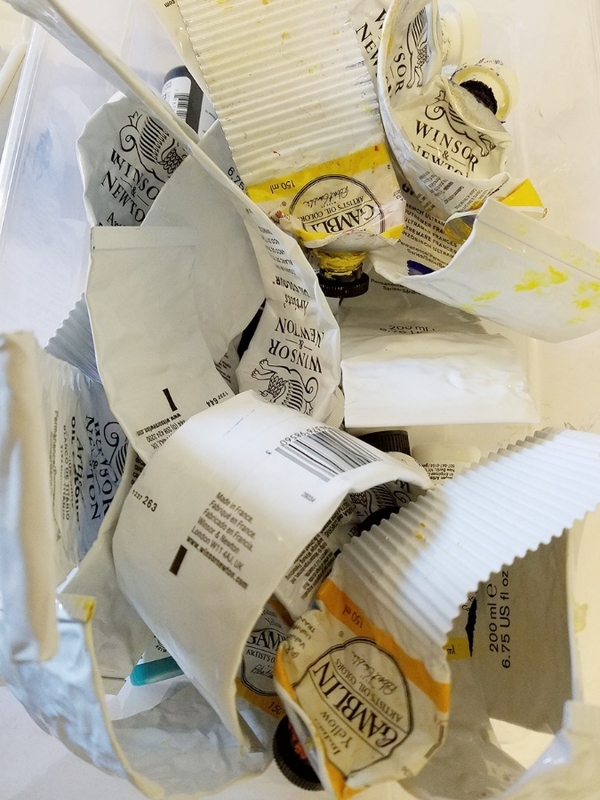 Along with being a type-A perfectionist, I'm the Second Queen of Frugality (my mother is the First), and I can't bear to throw all of this paint way. What. You don't see all the paint? There's at least a ml or two in each of those tubes! Unfortunately, my tube wringer, along with about 80% of my studio supplies, is packed away, as it has been for the last eight months, waiting on the contractor, no, the insurance, no, the contractor... you get the picture. Anyway, enough digression. The point is. These tubes need wringing. My tube wringer is somewhere in the depths of storage. I can't buy another in the meantime (hello... frugality). So they pile up and await their destiny. Meanwhile, they serve as a blog topic on which I can philosophize. Win!